A true 5" from the turbo-back, the Large Bore-HD exhaust system is engineered to perform in the most extreme environments. This system is constructed from mandrel bent 5" stainless steel tubing for maximum flow, increased horsepower, increased torque and reduced EGT's. 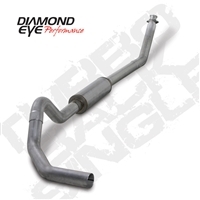 The AFE 49-02033 ATLAS 5" Turbo-Back Exhaust System for your 1994-2002 Dodge 5.9L Cummins is engineered to perform in the most extreme environments. The new ATLAS exhaust is engineered to perform in the most extreme environments. 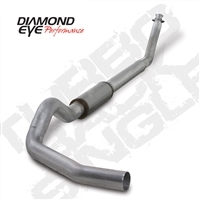 This system is constructed from precision, mandrel bent 4 aluminized steel tubing for maximum flow, increased horsepower, increased torque and lower EGTs.